Regulars swear by the no-frills breakfast sandwiches at this narrow shop, where the walls are covered with colorful kids’ art. 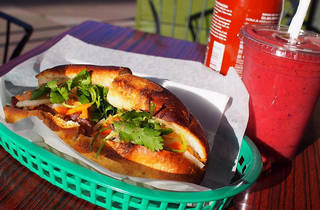 Though the menu includes standard sandwiches like turkey, tuna and egg salad as well, owner Jacky Ly's not-so-secret specialty is his carefully crafted banh mi. The French bread has a soft crumb and a crunchy crust that holds up fillings like barbecue pork, steamed pork, barbecue chicken and paté. 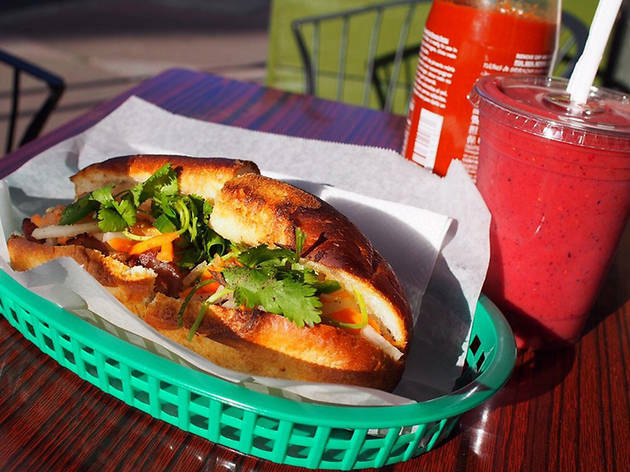 But the most popular version is the chicken meatball banh mi, in which slabs of creamy avocado balance the spice of the jalapeños.